Design meets function. The new ZOOM stands for the latest digital 3-antenna technology, packaged in an intuitive, contemporary design. The ZOOM+ combines the simple handling with modern technology and the advanced design. Reduced to two functional buttons, the ZOOM+ concentrates on intuitive usability. The focus on the clearly designed LED-display is on the on / off switches and the switch between transmitting and searching. Distances, directional arrows and information about several avalanche victims guide you in the fastest way to the refined search area, with the intuitive search acoustics making victims easier to locate. Equipped with the patented SMART-ANTENNA-TECHNOLOGY, avalanche victims are found much better with the ZOOM+. 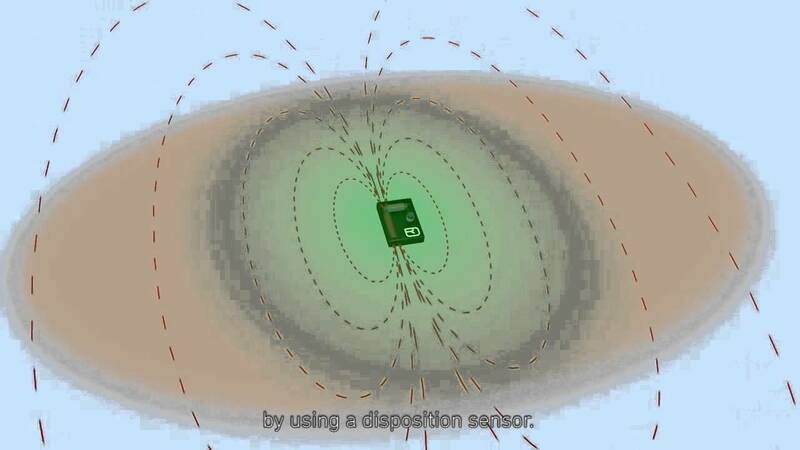 The device analyzes its position in the avalanche and automatically switches to the best transimission antenna. The latest digital 3-antenna technology is taken for granted at ORTOVOX just as much as the aut omatic switch over in case of a follow-up avalanche. More easily found with the ZOOM+! The integrated SMART-ANTENNA-TECHNOLOGY analyzes the position of the antennas in the avalanche and automatically switches to the best transmission antenna. The result: Almost double the range in the worst coupling position, regardless of the beacon used for searching. We have added a motion sensor to the ZOOM+ to enable secondary avalanche switchover. If the sensor has not detected any motion for 120 seconds during the search, it automatically switches back to transmit mode. Thus rescuers can also be found if there has been a secondary avalanche. For maximum protection, we’ve also equipped the ZOOM+ with a Recco reflector. Recco helps professional rescuers find victims buried in the snow even faster. This offers an additional possibility of being found quickly. The backup technology is used by more than 700 ski areas and rescue teams around the world. We’ve slimmed down the ZOOM+ to ist most important elements. With only two buttons, faulty operation is virtually impossible. Once switched on, the user can switch between sending and searching modes using the safety switch. Further search instructions are then displayed on the large LED. A soft rubber ring around the outside of the device ensures easy handling and provides additional protection. To prevent loss, we’ve given the ZOOM+ an elastic hand loop and practical carrying case. The ZOOM+ focuses the person searching on the large display in the middle of the device. LEDs are used to show the distance to the victim, the direction using arrows and if there is more than one victim. Large LEDs are easy to read especially in poor visibility conditions and at night. The visual search mode is supported by intuitive search ac oustics. Higher and fast sounds tell you that you are approaching the avalanche victim. The sophisticated sound sequence clearly signals when buried victims are near. More easily found with the ZOOM+! The integrated SMART-ANTENNA-TECHNOLOGY™ analyzes the position of the antennas in the avalanche and automatically switches to the best transmission antenna. The result: ALMOST DOUBLE THE RANGE in the worst coupling position, regardless of the beacon used for searching. For maximum protection, we´ve also equipped our transceivers with a Recco reflector. Recco helps professional rescuers find victims buried in the snow even faster. This offers an ADDITIONAL POSSIBILITY of being found quickly. The backup technology is used by more than 700 ski areas and rescue teams around the world. We’ve SLIMMED DOWN the ZOOM+ to its most important elements. With only two buttons, faulty operation is virtually impossible. Once switched on, the user can switch between sending and searching modes using the safety switch. Further search instructions are then displayed on the large LED display. A soft rubber ring around the outside of the device ensures easy handling and provides additional protection. To prevent loss, we’ve given the ZOOM+ an elastic hand loop and practical carrying case. The ZOOM+ focuses the person searching on the large display in the middle of the device. LEDs are used to show the distance to the victim, the direction using arrows and if there is more than one victim. Large LEDs are easy to read especially in poor visibility conditions and at night. The VISUAL SEARCH MODE IS SUPPORTED BY INTUITIVE SEARCH ACOUSTICS. Higher and fast sounds tell you that you are approaching the avalanche victim. The sophisticated sound sequence clearly signals when buried victims are near.